It all started with one Angel and her dream for every special needs child to have a place to receive specialized home health care in a loving, caring, and professional manner. That Angel was Bonnie West. Bonnie was able to take a small pediatric home health agency from serving one patient to thousands within 15 years. Angels of Care Pediatric Home Health has added a multitude of services along the way to better serve the pediatric special needs population in Texas. Angels of Care Pediatric Home Health provides services including Private Duty Nursing, Skilled Nursing, Physical Therapy, Occupational Therapy, Speech Therapy, Respite Care, and Attendant Care. Angels of Care has grown to now have 13 branch locations across the state of Texas! 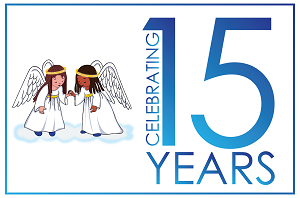 Angels of Care has been blessed to serve such wonderful children during the last 15 years and we look forward to serving even more special children and their families. We have had the opportunity to be a place of employment for thousands of nurses, therapists, and attendants. Angels of Care Pediatric Home Health cannot be more thankful to have such dedicated employees to provide care to all of our little Angels. Are you looking for a pediatric home health agency to take care of your special little Angel? Call 1-855-45-ANGEL or visit our website at www.angelsofcare.com.